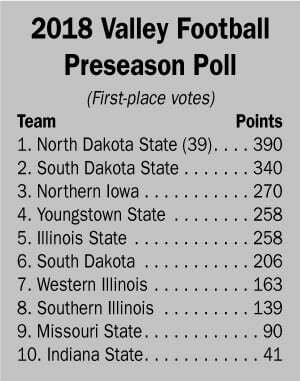 CEDAR FALLS — The University of Northern Iowa football team has been tabbed third in the Missouri Valley Football Conference preseason poll. Last year, UNI was ranked fourth in the preseason poll and finished second in the league, tied with South Dakota State. 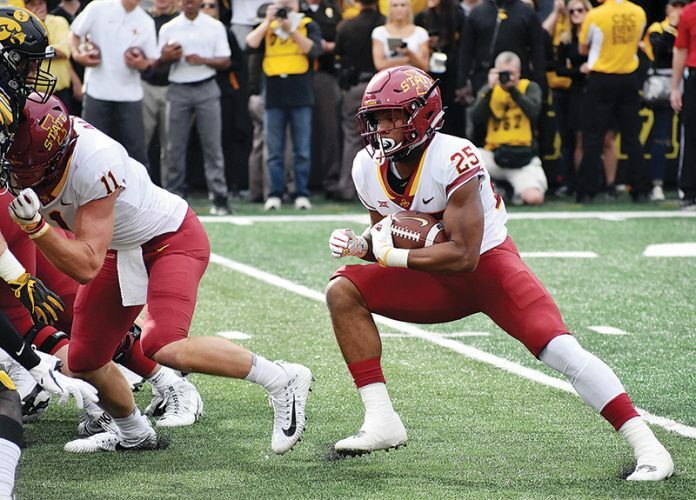 North Dakota State — last season’s MVFC champ — has been selected as the conference favorite in a poll conducted by league coaches, media and sports information directors. South Dakota State earned the second spot, followed by UNI in third and Youngstown State in fourth.